Jenny founded Halpern from her kitchen table over 25 years ago. An entrepreneur and leader in the PR industry, she quickly established a reputation for delivering outstanding results and having a little black book to be revered. Jenny instigated “influencer” marketing with one of the first celebrity divisions and clients spanning Burberry, Sainsburys and Unilever. Jenny co-founded charity, The Lady Garden Foundation which raises funds for the Royal Marsden for gynae cancers. The charity has a highly irreverent tone of voice with a strapline #whatdoyoucallyours but is on a mission to raise huge awareness for a cancer that is a silent killer. Funds raised to date are at almost £1m. Jenny also founded Access Aspiration, the education charity that provides work placements in London state and Academy schools and is now on the board of the Mayors Fund which has taken over the charity. 1 husband (Ryan Prince, of Uncle and the newly opened Bankside Hotel), 3 kids, all via a tummy mummy, 1 adopted golden retriever. Fancy dress obsession, competitive ping pong-er, revelry radical. Sarah started her career in law, taking a role at a law firm in Newcastle before realising a more creative life in London beckoned. After the bold move to London from Sunderland (! ), Sarah started out in beauty, running the Avon business at Halpern for nearly ten years, looking after campaigns spanning skincare, colour, fashion, brand equity and cause related. After a year living and working in New York, Sarah spent time running the P&G Prestige business at MSL Group which included Stella McCartney, Gucci and Dolce & Gabbana beauty and fragrance. Subsequently taking on an in-house role, Sarah was the global head of PR and events for Charlotte Tilbury. Sarah returned to Halpern to take on the MD role two years ago and now leads agency work across Google, Bumble and UGG. A cat called Ziggy and a husband called Tom take up time during the weekends. With a passion for how PR impacts both perceptions and purchase, Alex is known for delivering robust PR strategies rooted in retail. With experience working with large FMGC brands globally and locally as well as start-up business, Alex is always looking for the latest innovations in her client’s categories to challenge thinking and look for new ways to future proof the communications approach. Known as Positive Pamela in the office, Alex is always energetic and loves nothing more than making people see the brighter side. If you see her at the bar, order her a gin and slim, talk about dogs, interiors or food and you’ll have a friend for life. Hattie was an EA for over ten years in corporate finance, focussing on the digital and media sectors, before coming to work for Halpern and navigate the world of PR. She works with Jenny Halpern Prince day to day and also closely with Halpern’s two charities - Lady Garden and Access Aspiration. She loves to travel, recently to India and Bangladesh and has taken up sensible activities like gardening and yoga in an attempt to get her away from drinking martinis, limited progress so far. Stav is an Account Director with experience working with globally recognised consumer, lifestyle and luxury brands. Stav has a wealth of experience working on fully integrated campaigns across multi-agency teams which have delivered results across a wide range of media disciplines including broadcast. Relentless in securing tier one media placements, he focuses on building and maintaining strong relationships with clients and the media across multiple sectors. Stav is an avid gym goer and enjoys nothing more than a morning workout to get him set up for the day ahead, while indulging his sweet tooth in the afternoons! Lucy joined Halpern at the beginning of 2018 after starting her career working across skincare and hair care brands at PZ Cussons Beauty. She is a self-confessed product junkie, with her make-up stash slowly overrunning her flat. Outside of work, she enjoys cooking up a storm (and a mess) in the kitchen and visiting new London restaurants. Selen is a Deputy Account Director on the Beauty & Wellbeing team. A total beauty junkie, Selen is passionate about the industry and enjoys discovering all things new and disruptive. Selen has experience working for both global and incubator beauty brands, managing events and running a busy press office. Selen’s other love is her dog, Alfie, whom she brought back from Barbados, where she lived for 2 years. Bella is an integral part of the Beauty and Wellbeing team at Halpern. She is experienced at working across a wide variety of both premium and mass beauty sectors, including skincare, hair care, oral care, fragrance and colour cosmetics. As a true team player, she loves working hand in hand with her clients and flexes her creative muscle to keep her work innovative and fresh. Bella can often be found on a ski slope and regularly exercises her passion for photography. Paige works across travel, food and design on the Destination & Design team at Halpern and her brand experience includes Fortnum & Mason, Taste of London, GAIL’s Bakery and T2 in addition to hospitality clients across the UK. Paige is the resident chatterbox of her team and is always on the hunt for what’s new and interesting. Her interests include a major passion for all things food and drink, bad TV and she is also currently working towards her WSET. Sarah is an Account Manager on the Culture and Influencer team. Sarah’s PR and influencer experience stretches across some of the world’s biggest cultural disrupters. She specialises in identifying and brokering talent to connect brands with audiences in the most authentic way possible. She can also hook you up with the best dumplings in the world! Becca recently joined Halpern as a Junior Account Executive on the Beauty Team. As a new member of the team, and at the beginning of her career, Becca is continuously looking to gain as much knowledge and experience from her colleagues as she can. When she’s not sinking her teeth into the latest beauty trends, Becca can be found exploring some of the city’s best tourist traps, having just moved to London, it’s safe to say there’s lots to discover. 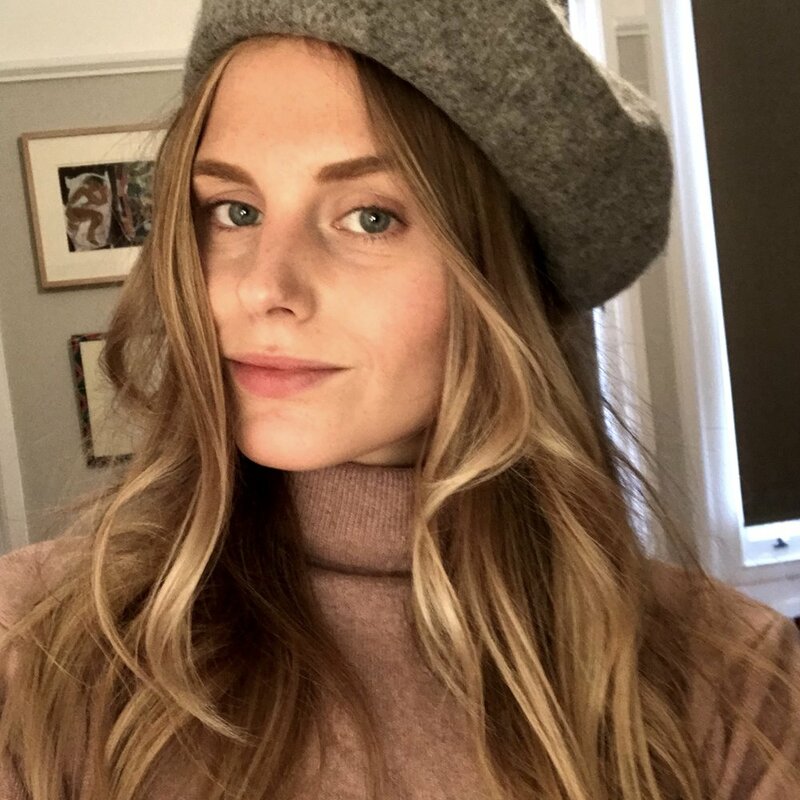 Lucy is the Senior Account Executive on the Halpern Beauty and Wellbeing team and has a real passion and interest in seeing brands grow through effective communications and leading PR strategies. She thrives on the team as it allows her to follow her personal interest in this energetic and ever-changing category. Brand experience includes Vitabiotics, TRINNY London, Lancer and TIGI. Lucy enjoys living London life to the full, she regularly frequents the theatre, she has a passion for food and loves trying new restaurants. Daniella is an Account Manager with experience working on both mass and prestige beauty brands within fragrance, skincare, hair, colour cosmetics and wellness categories. Well versed in both consumer and trade campaigns, she prides herself on meticulous organisation and results driven strategies to make any sized campaign run both smoothly and effectively. On weekends, Daniella can be found looking around art exhibitions. A self-confessed beauty product junkie, Nicki is the go-to girl for product recommendations amongst friends and peers and claims to be an Espresso Martini connoisseur. With a creative mind and in-depth knowledge of the ever-changing media landscape, she is adept at creating and implementing diverse PR and social media campaigns, as well as creating a wide breadth of content for blogs, social media, press and online for both mass and prestige hair and beauty brands. 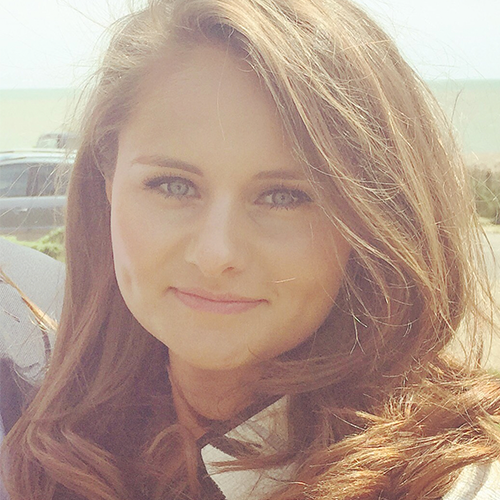 Rosie recently joined Halpern as an Account Manager on the Culture and Influencer team. With experience working with both established brands looking for new ideas, and emerging brands in the early stages of their brand definition, she can clearly identify creative solutions to ensure the ordinary, is made extraordinary. Her larger than life character ensures that she is always at the centre of conversations, cementing strong relationships with press, influencers and her clients. Saffron heads up Halpern’s Culture & Influencer division and leads on implementing creative influencer strategies across the agency. Her PR and influencer experience spans across big cultural innovators including Google and Bumble, to founder led brands such as Vitabiotics and the Lady Garden Campaign. Saffron’s goal for influencer marketing remains the same across all brands: blending specialist tools with a human deep dive for influencer selections, and implementing smart, bespoke strategies for influencer campaign measurement. When she’s not scouring Instagram for the coolest new influencer, Saffron can be found sweating it out gym or packing a punch in the boxing ring. Karen is part of the Culture & Influencer team with a background in fashion & luxury. She is highly driven to achieve the best results for her clients and enjoys a tough brief that requires creativity and strategic insight. Karen is passionate about making new contacts across the industry and driving brand awareness through unexpected and disruptive partnerships. When she is not meeting press or entertaining clients you can find her at the latest pop up restaurant or booking her next trip with friends. I'm Kate, just joined Halpern after a nearly two month trip around South America! I've worked in PR for just over two years including working on the likes of Samsung, the London Eye, Gumtree and Huawei etc. I love baking, charity shop shopping and you'll always find me at the latest art gallery exhibition. Anna is an Account Manager on the Culture and Influencer team and thrives on being given a challenge. Her 6 years brand experience within the industry spans fashion, tech and travel. Anna enjoys making the most of a weekend by visiting art galleries, eating out or trying something different with friends. With a flair for creativity and a keen eye for detail, Associate Director Anna is in her element when concocting unique and memorable campaigns for her brands. From niche luxury start-ups to mass FMCG brands, Anna’s expertise in the beauty and wellbeing sector has seen her deliver best-in-class results to meet a range of budgets and objectives. An enthusiastic and passionate communications professional with her finger on the pulse, you’ll find Anna out and about at the latest openings in town. She’s partial to a pop-up and enjoys trying food and drink from around the world - all in the name of research of course. Michelle has key experience in influencer marketing, event planning and working across various digital campaigns. Michelle loves all things pop culture and always has her ear to the ground about what’s new and current. She also fancies herself as the ultimate meme connoisseur. Rosie is the Senior Account Manager on the Destination & Design Team. With 7 years of PR experience, she has previously worked with brands like John Lewis, Missguided and Zalando. When Rosie isn’t planning her next dozen or so trips abroad, she enjoys brunching, reading (currently glued to Michelle Obama’s autobiography), anything fashion related and promising herself she’ll go to the gym next week. Amreen is our newest member to the team, just graduating from Exeter University with a flair for creativity and love for media culture. Amreen has joined the Culture and Influencer Team as a Junior Account Executive and is eager to kick start her career in PR. Guaranteed to be found skiing in the Alps during winter and enjoying all things musical theatre throughout the rest of the year. A true Halpern star, Lauren returned to the team recently to rejoin the beauty team. A beauty junkie, Lauren loves discussing up and coming trends and applying her creativity to all client challenges. The Perfect Sunday Night Reading. Sign up below to receive our monthly hotlist.